Frances Coralie "Fannie" Perkins (April 10 1882 – May 14 1965) was Secretary of Labor for the twelve years of Franklin D. Roosevelt's presidency and the first woman to hold a Cabinet post. She strongly believed in creating economic justice and security for all Americans. She was instrumental in drafting the Social Security Act. She also worked specifically for the benefit of women, reducing the maximum workweek for women to 48 hours. Perkins was born in Boston, Massachusetts. The family moved to Worcester when she was two years of age. Perkins' father opened a stationery business that kept the family financially comfortable. Her parents were devoted Congregationalists and taught their daughter the importance of "live for God and do something." She attended the Ferry Hall School in Illinois before graduating from Mount Holyoke College where she majored in natural sciences in 1902, and from Columbia University in 1910 with a master's degree in sociology. In between, she held a variety of teaching positions and volunteered at settlement houses, including Hull House. She became interested in economic history after reading How the Other Half Lives by Jacob Riis and being influenced by his description of New York City slums. In 1910 she came to statewide prominence as head of the New York Consumers League, in which position she lobbied with vigor for better working hours and conditions. The next year, she witnessed the tragic Triangle Shirtwaist Fire, a climactic event in her life. She watched horrified as over one hundred people, most of them young women, died in fire. The image of young women praying before they jumped from upper floor to their deaths rather than be consumed by the inferno had a profound impact. The factory building lacked fire escapes and it was the practice of the owners to lock the doors after work began. Perkins lived with that tragedy for the rest of her life. She was quoted as saying, "it is seared on my mind as well as my heart—a never-to-be-forgotten reminder of why I had to spend my life fighting conditions that could permit such a tragedy." In 1913 Frances Perkins married Paul Caldwell Wilson they had one child, a daughter. She kept her maiden name, defending in court her right to do so. Prior to going to Washington, Perkins held various positions in New York State government. In 1918, Perkins accepted Governor Al Smith's offer to join the New York State Industrial Commission, becoming its first-ever female member. She became chairwoman of the commission in 1926. In 1929, the new governor, Franklin Delano Roosevelt, appointed Perkins the state's industrial commissioner. Having earned the cooperation and respect of various political factions, Perkins ably helped put New York in the forefront of progressive reform. She expanded factory investigations, reduced the workweek for women to 48 hours and championed minimum wage and unemployment insurance laws. 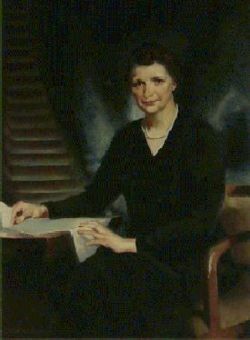 In 1933, Roosevelt appointed Perkins as Secretary of the United States Department of Labor, a position she held for twelve years, longer than any other United States Secretary of Labor and making her the first woman to hold a cabinet position in the United States (thus becoming the first woman to enter the presidential line of succession). She and Harold L. Ickes were the only two secretaries to hold their posts throughout the entire FDR presidency. In 1939, she came under fire from some members of Congress for refusing to deport the communist head of the west coast International Longshoreman's and Warehouse Union, Harry Bridges. Bridges was ultimately vindicated by the Supreme Court. Al Smith, a machine politician from the old school, was an early social reformer with whom Frances Perkins made common cause. At Smith's funeral in 1944 two of his former Tammany Hall political cronies were overheard to speculate on why Smith had become a social crusader. One of them summed the matter up this way: "I'll tell you. Al Smith read a book. That book was a person, and her name was Frances Perkins. She told him all these things, and he believed her." 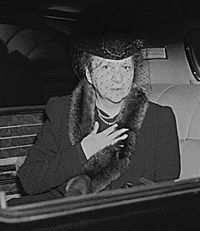 Following her tenure as Secretary of Labor in 1945, Miss Perkins was asked by President Harry S. Truman to serve on the United States Civil Service Commission, which she did until 1952, when her husband died and she resigned from federal service. In 1946, Perkins published a first-rate memoir of her years working with Franklin Roosevelt, called "The Roosevelt I Knew." The book is a tribute to a president she called a friend; but it is also a subtle character study, and useful reading for any student of the New Deal. Perkins explained in her memoir some of the means she had used to earn the President's remarkable support. She described a process of preparing the President for a position taken by boiling down the costs and benefits to a one- or two-page summary, with the political opposition clearly marked for him in advance. Following her government service career, Miss Perkins remained active as a teacher and lecturer at the School of Industrial and Labor Relations at Cornell University until her death in 1965, aged 83. This page was last modified on 21 April 2017, at 14:31.